The shortlist of five candidates for the 2013 BBC African Footballer of the Year award has been announced by the BBC. 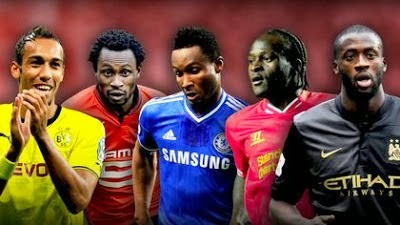 Nigerian Footballers Victor Moses (Liverpool, on loan from Chelsea) and John Mikel Obi (Chelsea) are joined by Burkina Faso's Jonathan Pitroipa (Rennes), Pierre-Emerick Aubameyang of Gabon (Borussia Dortmund),and Ivory Coast's Yaya Toure (Manchester City), who has made his fifth consecutive appearance on it. The winner will be decided by African football fans, who have an opportunity to vote for their choice until 18:00 GMT on November 25, Monday. The winner will be announced on December 2, Monday, at 17:35 GMT on the BBC's Focus on Africa radio and television programmes. I want Victor Moses to win!